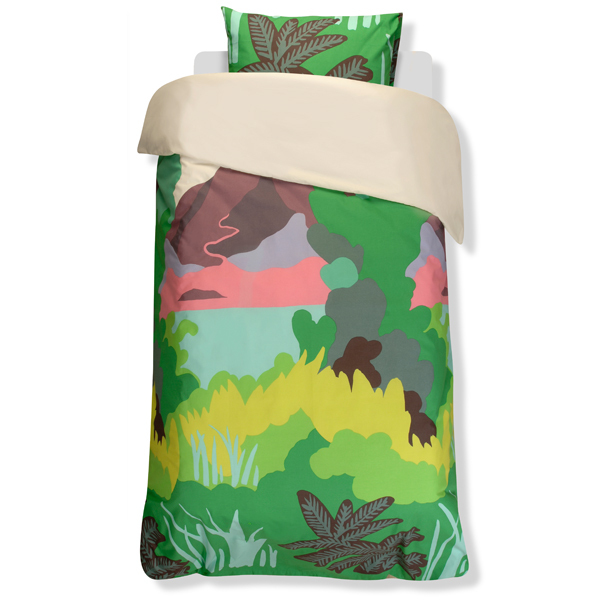 If you’re shopping for a kids room this Marimekko bedding is kind of awesome (and it’s gender neutral!) On sale here. 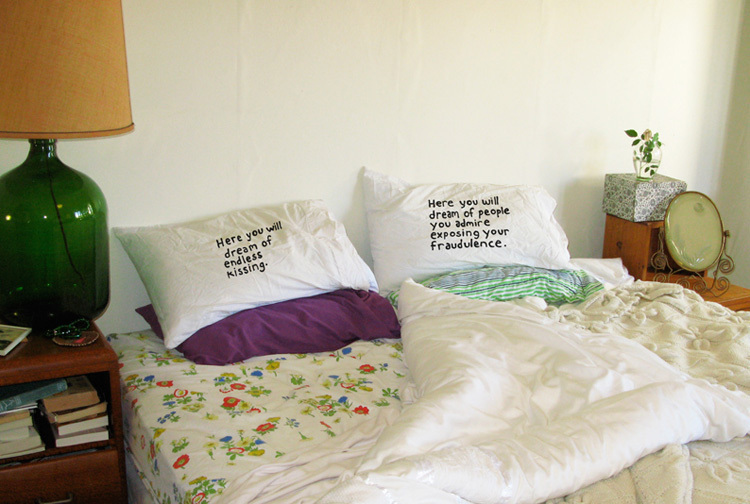 I received this fantastic Miranda July “Here you will dream of endless kissing” and “Here you will dream of people you admire exposing your fraudulence” pillowcase set as a gift this weekend – thanks J&J! My lovely friend Lee sent this to me – if you’re ever in need of a handy, portable bed – look no further. 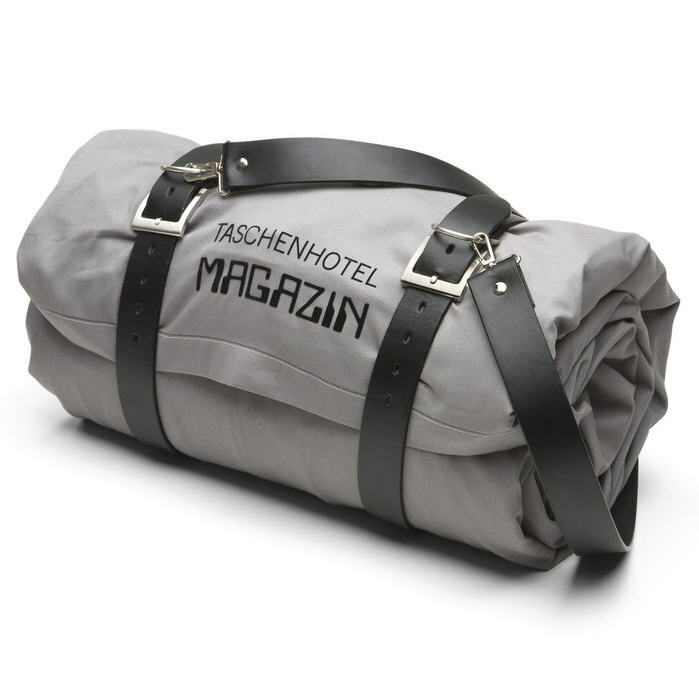 Some imaginative German folks have invented an inflatable bed that rolls up into a duffel type bag. Take it on your travels. Store it in your cupboard. 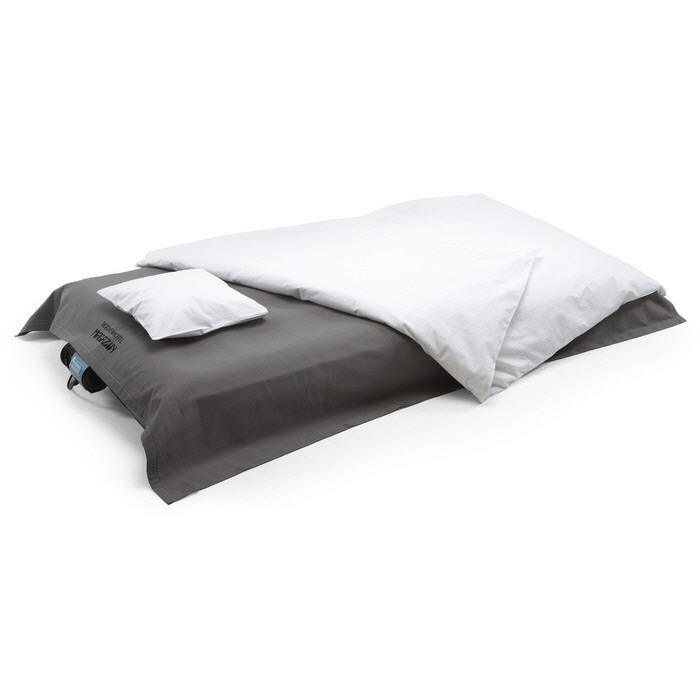 It even comes with a pillow and sheet. Clever, no?